Stop by the Branch County Tourism Bureau and pick up a walking map or the city's many historic districts. 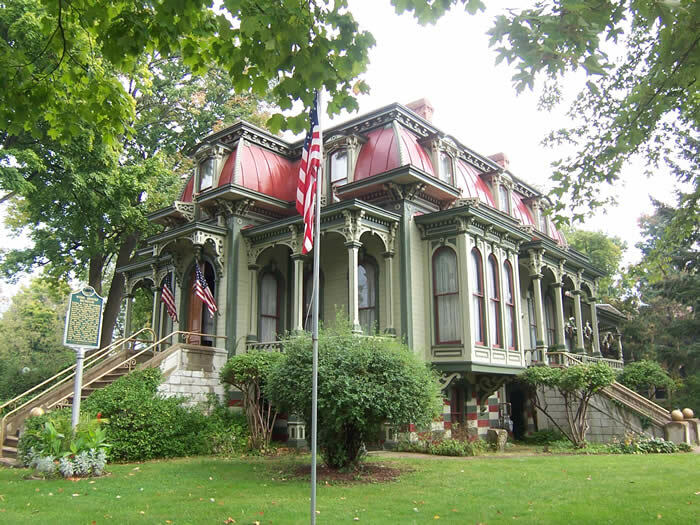 There are three major walks, one that takes people along West Chicago and Pearl Streets with past such mansions at the one at 199 West Pearl Street also known as the Skeels Home that was built in 1886. This magnificent Queen Anne style home has seven fireplaces, cherry woodwork and 12-foot ceilings. There's also a tour that travels along East Chicago Street past such wonderful buildings as the Masonic Temple built in 1869 and Park Place, the town's only boulevard which is known to have the prettiest Queen Anne homes in town. East Chicago Street (once the Old Sioux Trail) was the site of one of Coldwater's earliest Chicago Road taverns. The third tour, which is one mile long, showcases such places as the Elks Temple, a three-story Roman Revival brick structure built in 1864 originally as a Spiritualist Church known as the Hope Chapel. The building was a hospital during the Spanish-American War.